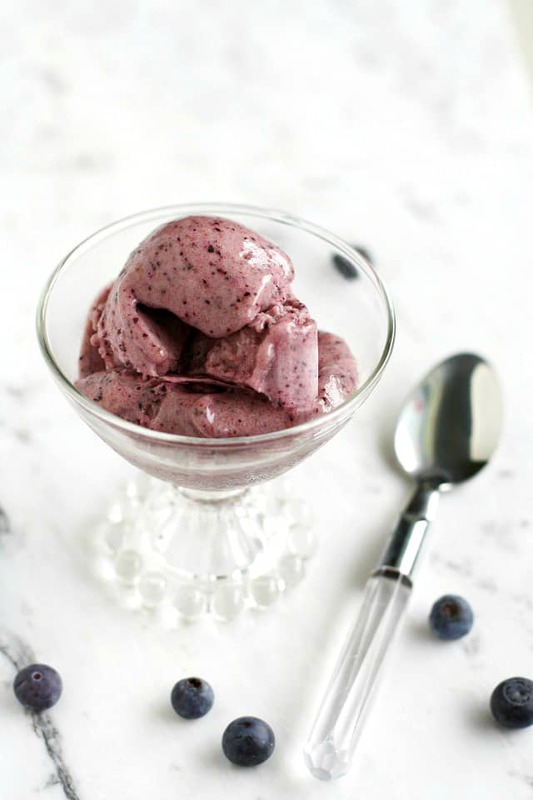 Home » Dairy Free » No-Churn Blueberry Ice Cream. 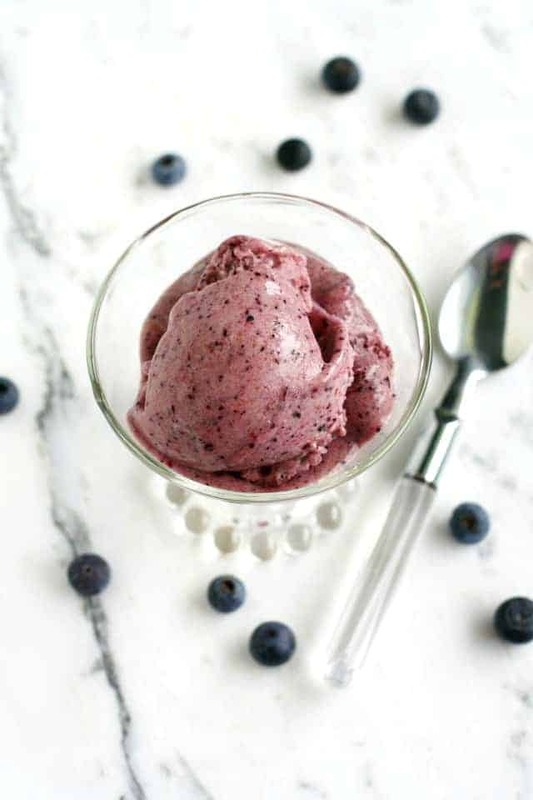 A light and easy no-churn blueberry ice cream recipe. This ice cream is simple, delicious, and just right for hot summer days. I debated about posting this, because everyone kind of knows about making dairy free ice cream with bananas, right? We do it all the time, but there’s just something so neat about blending up frozen bananas and having them magically turn into ice cream. It never gets old, at least over here. 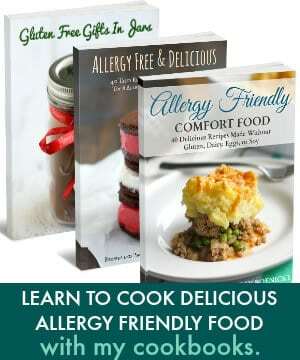 It’s nice to be able to make it in a hurry, and it’s a great recipe to try if you don’t have an ice cream maker. Last month, at the home school co-op we attend, there was a day in my son’s science class when they were learning about how to make ice cream. Since my son can’t have dairy, his teacher made banana ice cream for him, which I thought was a really nice gesture. It was the first time she’d tried it, and she was amazed at the creamy texture. Our favorite way to enjoy banana ice cream is to add some cocoa powder and a little peanut butter, which turns it into super rich and decadent chocolate peanut butter ice cream – you can barely taste the banana when you do it that way! This recipe is similar, just without the peanut butter. 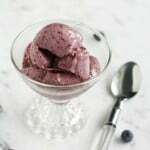 This time I wanted to do a fruit flavor, and we had lots of frozen blueberries in the house, so I made no-churn blueberry ice cream. It was very light and delicious, and I love the color – it’s a pretty shade of purple. I have a decent blender, and even though it’s not a Vitamix, it works really well for blending frozen bananas. We like to have sliced bananas ready to go in our freezer at all times, and when we want to make ice cream, we just take them out and let them soften a tiny bit, maybe for five minutes or so, just so they are not rock hard. 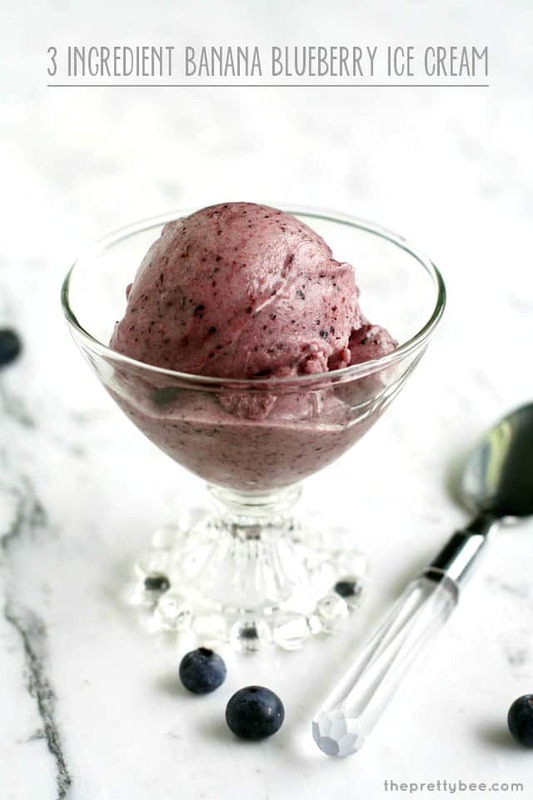 Simple, elegant, blueberry banana ice cream made in the blender. Dairy free. Put all three ingredients in the blender, and start to blend, using the pulse button. It will be difficult to blend at first, and you might have to shake the pitcher to redistribute the banana pieces so that it will keep blending. Have you made banana ice cream in the blender before? What’s your favorite add-in? « Microwave Cherry Crisp For One. I’m about to try this recipe right now, but after reading your post, I can’t help but wonder, exactly how do you make that peanut butter-cocoa-banana ice cream? Because THAT seems like a great choice right now, and my blender is so ready for ice cream! Only 3 ingredients?!! Definitely trying this! What a great idea! I’m going to try it with honey! YUM! This looks delicious and 3 ingredients? Sold. Pinning, winning and grinning! Banana ice cream is just amazing! I’ve tried it with blueberries before so I know this recipe is awesome. 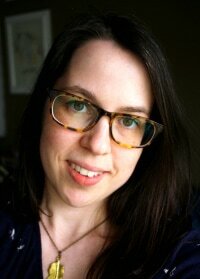 :) And your photos are just gorgeous, Kelly! YUM!! I make it the way you normally do with banana/cocoa/peanut butter but I love the addition of blueberries! You just gave me an idea for my frozen bananas! Looks delish! Holy moly … this sounds awesome! 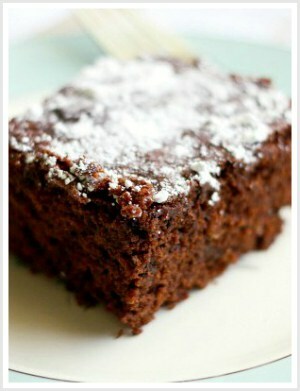 I have a pint of blueberries in the fridge and some bananas on the counter … so I will definitely be making this soon! I luuuurve banana ice cream and it’s been ages since I’ve made it. Must make this healthy treat in my fancy blender asap! Looks so pretty! Everytime I see the banana ice cream trick I wish I could start liking bananas, but I just don’t. Gotta find something else as a sub! What a great and easy ice cream recipe! I’ve never actually tried this, but it’s been on my “to-do” list for quite some time. Looks delicious! banana ice cream is the greatest thing that ever happened to the dairy-free world… what’s easier, right? 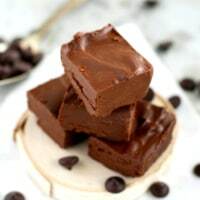 (just posted one today, myself) this recipe looks simply delicious! and beautiful photos too! This ice cream looks so good! 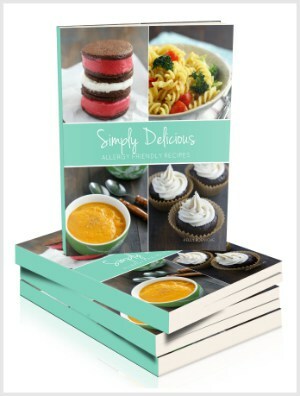 I love the fact it only has 3 ingredients and takes moments to make! I will be trying this soon! This looks great! I think your combination sounds fab and the photos are beautiful. Just pinned… I never thought about adding other fruit to banana ice cream. I feel dumb now.